Windows represent an essential element in the look, feel and function of any home — and finding the right ones can be a long process. At SAHR, our residential window specialists are committed to providing you with the best windows for your home at a fair price. 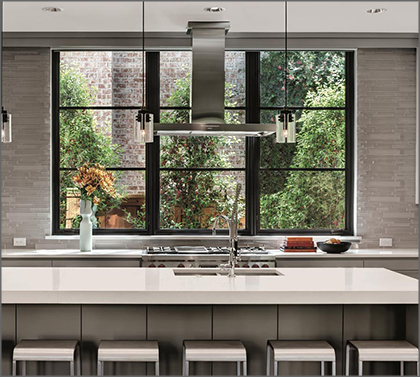 Whether you want to focus on energy efficiency, security, or aesthetics, SAHR has the perfect windows for you. Typically, you want your windows to be sturdy, functional and aesthetically pleasing. This combination of form and function will give your home a comforting look and feel, as well as making it easier to sell in the future. We offer a wide range of window frame materials such as wood, fiberglass, aluminum and vinyl. Each material has its own perks and benefits, making it easier to find the right kind for your home. For durability and customization, fiberglass or wood windows may what you need. For cost and energy efficiency, vinyl windows may be right for your home. No matter what material you choose, our windows are guaranteed to last for decades. No matter what size, style or finish you need for your residential windows, the specialists at SAHR will make your ideas a reality. Our window specialists handle all kinds of window projects, including new windows, replacement windows, and specialty windows. With quality materials, years of experience and exceptional service, we are ready to handle any size window project from start to finish. For more information about residential windows from SAHR Building Supply, please contact us here or call us directly at 855.724.7934.